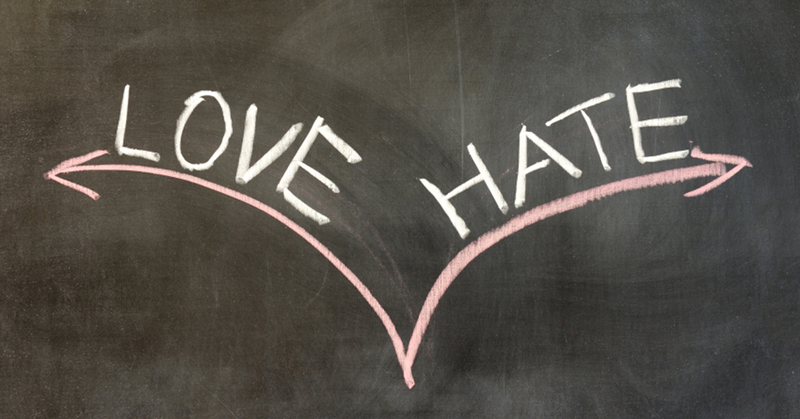 When you can HAPPILY say that not everybody loves you, you’ll know that your brand strategy is working. Many business owners will say that their products can appeal to anybody and everybody. Wrong choice. A brand strategist will tell you that you have a nowhere brand. The brand strategist will also tell you that you need to differentiate. Sherpa will say that you need to stand out and be found. These are the basics of brand strategy. What would happen to McDonald’s as a brand if they decided to serve what they’ve got now (affordable, convenient and consistent) and then also an upmarket gourmet counter under the same brand, in the same premises. And the gourmet offer is triple the price and takes four times longer to prepare. Chaos. Confusion. Dissonance. So McDonalds ‘stands out’ from what other restaurants offer and in doing so, allows those people looking for what McDonald’s offers to find them EASILY. No confusion. No doubt. No disappointment. You go to McDonalds for convenience, consistency, affordability. If they tried to be all things to all people, there would be no McDonalds! If I put a BMW engine into a Volvo body, would I not have the perfect combination of ‘power’ and ‘safety’? Well, you could end up with a Volvo without flickers. But seriously, surely everybody would buy the BMVO? The hybrid is as bad an idea as the adapted name which means nothing. BMW drivers love how they feel when they drive their car, as do Volvo drivers in their cars. In brand strategy, we talk about tribes. The Volvo or the BMW badges. These tribal associations in fact run much deeper than the actual badges. Truth: BMW doesn’t want to be like Volvo and vice versa. Finding people who love you. When you try to find people who love you, it’s not really about demographics. It’s about whether you’re looking for customers who love ‘convenience, consistency, affordability’ or ‘quality, prestige, superior experience’. If you’ve got 5 different customers walking through your door all expecting different experiences, how do you deliver that? And so here’s the weird thing.